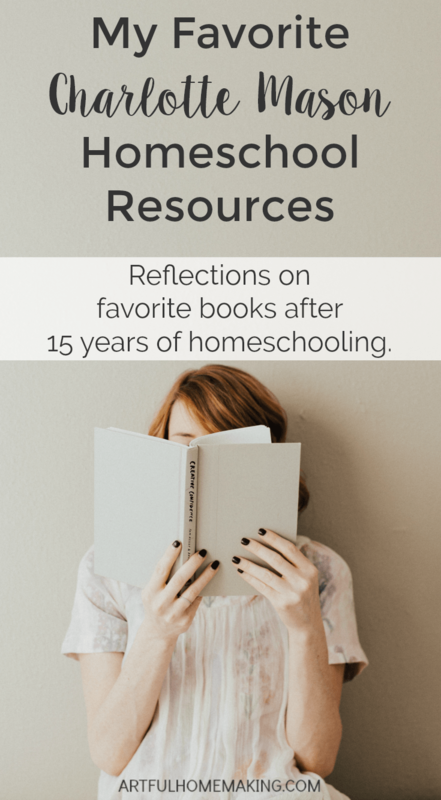 Now that we’re entering our 15th year of homeschooling, I wanted to look back at some of the books that have influenced me. I wanted to share my favorite Charlotte Mason resources with you! Charlotte Mason has been with us since the very beginning of our homeschool journey. My husband and I had only been married a little over a year, and we were expecting our first baby (who turns 18 this week!). We knew we were planning to homeschool our children. And we were both bibliophiles. So when my husband came across a pile of pink paperback books by a certain Charlotte M. Mason at a church rummage sale, we were both intrigued. I turned the books over in my hands, and I was interested. The whole set was only a few dollars. We ended up taking them home. The pink books were my first introduction to Charlotte’s ideas. After The Original Homeschooling Series (the pink books), I discovered A Charlotte Mason Companion at our first homeschool convention, which we attended when our oldest was about 2 years old. A Charlotte Mason Companion led me to For the Children’s Sake. Below, I’ll share a full list of books that have influenced me through the years. In this video I talk about how we first discovered Charlotte Mason. Charlotte Mason has been with us throughout all of our homeschool years. Did I always follow her ideas and methods perfectly? Hardly. Some years looked more like my ideal than others. Those were the years that we consistently did nature walks and narration. We studied hymns and habits and poetry and art. We listened to classical music and learned about composers. We read lots of great books. We enjoyed a feast of great ideas together. There were other years that morning sickness and overwhelming life situations kept me tied to textbooks and just barely surviving rather than thriving. Those were the years that we ditched nature walks because I was on bed rest. My children would bring their textbooks to my bed and we would “do school” as quickly as possible because I felt too sick to do much more than that. Despite the inconsistencies, I still return to Charlotte when I’m needing inspiration. And she never disappoints. Whenever I can, I return to the truth, goodness, and beauty that a Charlotte Mason education offers. In my mind it’s the best kind of education, and I love learning right along with my children. 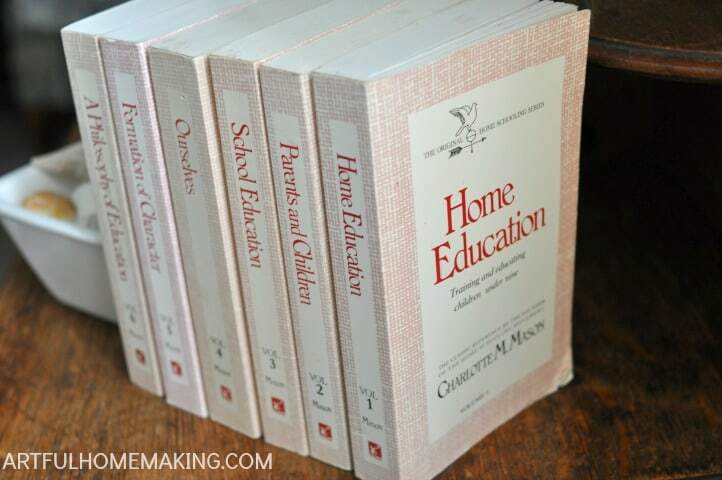 Has Charlotte Mason influenced your homeschool? If so, what Charlotte Mason resources are your favorites? May I ask whether these books contain any advise in motivating children with special needs such as those suffering from ADHD? My oldest step son is suffering from ADHD and the school he is attending just moves forward with their curriculum regardless of the problems single students experience. Unfortunately, homeschooling is not an option in Germany, But I have realized that he learns much easier, when we learn together at home. So what I have done so far is that I have worked out our own curriculum (alongside the official one). 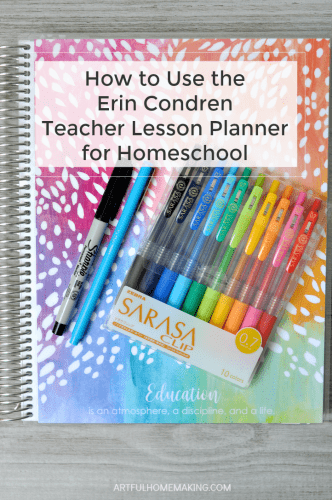 Your Post on the Erin Condren homeschool planer was very helpful in this respect. But now I am searching for ways to motivate him in situations, when learning becomes stressful and difficult. Many thanks in advance for your expertise. The books I mentioned don’t specifically contain advice for educating special needs children (that I am aware of), but the Charlotte Mason method can be very beneficial for any child. Short lessons, nature study, and an appreciation for art and music can be very motivating and helpful. 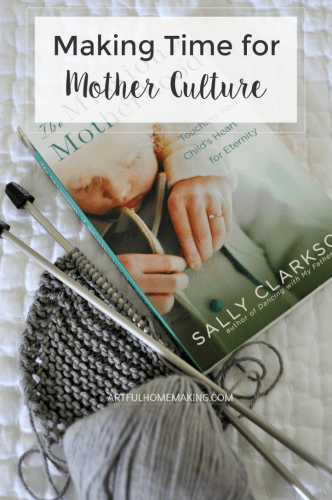 This article from Simply Charlotte Mason might be encouraging. And this article from Ambleside Online is also helpful. This might also be useful. I hope this helps! I think it’s wonderful that you’re investing in your son’s education outside the classroom. May you both be blessed! I will take a detailed look at the links provided.